An outstandingly stylish 500ml custom drinks bottle, made from BPA free, high-grade stainless steel and emblazoned with your designs and artwork, is a great way to show off your individuality whilst remaining hydrated throughout your day. Whether you're the tea-and-two-slice type, or you prefer a brisk walk and cold water on your way to work, this custom stainless steel water bottle has got you covered. 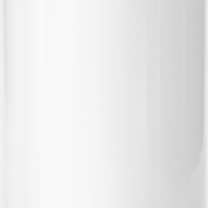 Choose from a stylish silver, or a modern white base colour and create your own custom drinks bottle today. Custom drinks bottles are a great way to tell your drink from your colleague's, your partner's and your children's drinks with nothing more than a passing glance. 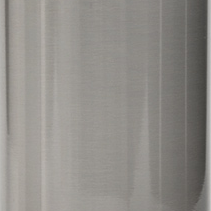 Custom stainless steel water bottles are completely leak-proof, they are made from BPA free, high-grade stainless steel and are designed especially to both keep your hot drinks warm and your cold drinks cool throughout the day, making them perfect whether you prefer a fruit smoothie or a strong coffee when you're on the go. Select the colour you want to start your design on. We use a digital sublimation printing technique which infuses eco-friendly inks directly to the metal for a long-lasting print. This print will not rub, crack or peel and your custom drink bottles will have the same smooth texture that you would expect from stainless steel. You can choose from either a white or a silver base tone, to complement your design. Please note: If you have large blocks of solid, dark colour on your design you may find some variance in the tone. This is to be expected especially on the white model. Due to the expert printing method and the silver colour of the custom stainless steel water bottles, you will find that you get a much stronger finish if you use rich and bold colours in your design. This will give you a much more striking result and really stand out against the surface of the custom drinks bottles. The sublimation process does not use white ink. This means that any white areas of your design will remain silver if you opt for the silver base. This will showcase the high-quality, BPA free, stainless steel as well as give a specific charm to your designs. If you intend to use lighter or pastel colours we would recommend the white base option. You design each side of the bottle individually, allowing a different appearance on the front and the back of the bottle. The designs will meet at the edges and you may see slight overlapping or the join of the images. The underneath of the base of your bottle will remain unprinted. Quickly and easily grab your drink in the morning with your very own custom drinks bottle. Keep your hot drinks warm and your cold drinks cool throughout the course of the day and never have to worry about spillages at the bottom of your bag. Print with your logo and company name for a trendy, modern take on the portable cup. With so many people on different eating and drinking regimes offer them something that is outstandingly designed for hot and cold drinks as an employee perk. Offer your customers a product that they can take with them wherever they go. A great way to get your art seen and to get your name out there. Better still, the hot/cold versatility of this makes it a truly indispensable product offering for your brand. Can I add text to the bottle? You can, although due to the stunning silver finish of the custom drinks bottle, we would advise that any text you add is in a darker colour for the most effective final results when printed. If you wish to use a lighter colour we would say it's best to go for the white option. Does the bottle get hot? The main body of the bottle, where the insulation is the thickest, barely gets warm at all. The neck and lid get warmer, but again not too hot, just be careful of the steam coming out of the top. There may be a slight variance in the height and the broadness of the neck between styles. Can I use just one image? We would advise using two separate designs, as there is no guarantee that we would be able to make the front and back line up perfectly if you had the same design wrapped around. You could be left with a small gap or a little overlap of the images, this is normal.